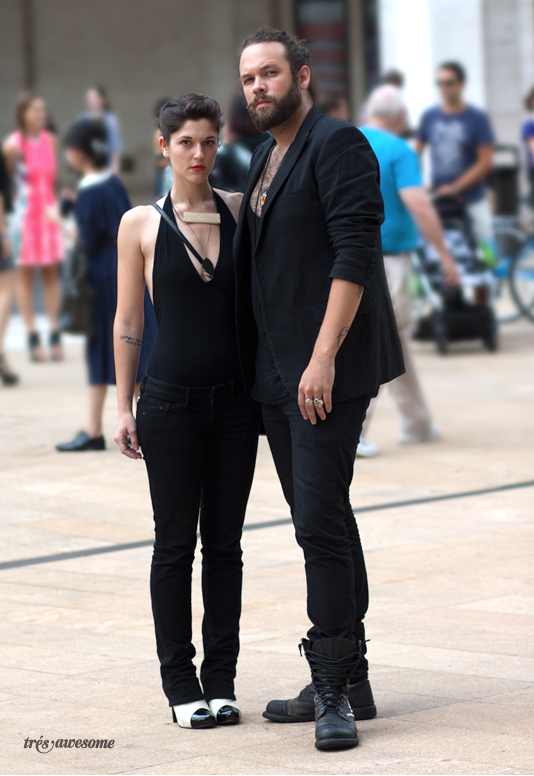 I saw this couple from across Lincoln Center after the Jill Stuart show and knew I had to snap their photo. They look so cool together in their black ensembles. The woman's name is Felicia Rein and she is wearing some of the very cool jewelry she designs, which you can check out on her Etsy Shop.